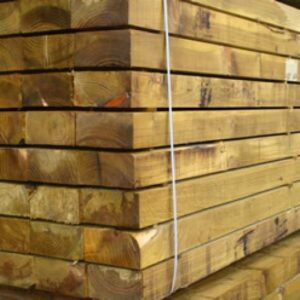 Wooden railway sleepers are an essential element of garden landscaping – useful for all sorts of purposes. We offer brand new oak hardwood sleepers and softwood sleepers for delivery anywhere in Bristol, Bath, Keynsham and surrounding areas. 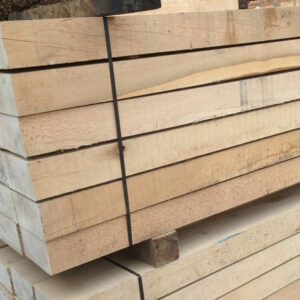 You can use treated or untreated timber sleepers for a myriad of projects in your garden. Sleepers are very popular for creating the raised beds favoured by vegetable-growing enthusiasts. You can use them to line retaining walls, or to create steps up to a patio or wooden decking. Sleepers can even be used imaginatively to make garden tables and benches, even water features. Features made from wooden railway sleepers lend warmth and a natural ambience to your outdoor space. They are not only aesthetically pleasing, but because of their thick dimensions (our sleepers come in two sizes: 200mm x 100mm or 125mm x 225mm) they are durable and long-lasting, their rustic appeal only growing more attractive with weathering and the patina of age. Our softwood sleepers have been pressure treated with preservatives to ensure they are resistant to fungal and insect infestation. New railway sleepers are also often used to create indoor features. After sanding, waxing or varnishing these versatile lengths of timber make beautiful fireplace surrounds, mantel shelves or even chunky items of furniture like a coffee table. Both our oak hardwood sleepers and our softwood sleepers are sold individually in lengths of 2.4m, economically priced so that you can unleash your imagination to come up with all sorts of wonderful ideas for their use. Our locally-based friendly team can arrange delivery of your chosen style of wooden sleepers to anywhere in the Bristol, Bath and Keynsham area, and beyond. New Softwood Sleeper. Pressure treated.